Premenstrual syndrome (PMS) doesn’t just affect your mood — although that’s certainly a major concern — it can also cause physical symptoms like pain, constipation, and fatigue. 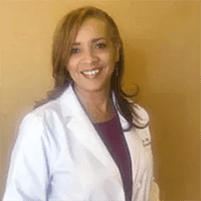 Before PMS starts taking over your life, schedule an evaluation with Leita Harris, MD, of Nurturing You Women's Health & Wellness in Corona, California. Dr. Harris can help you find the best treatment solution for minimizing PMS issues. Schedule your PMS consultation by clicking on the online scheduler or by calling the office to speak with a team member. Premenstrual syndrome (PMS) is about more than mood swings and feeling overly sensitive. This condition can lead to several issues that start affecting your job, social life, and daily activities. PMS causes changes in your mood and body about one to two weeks before your period, generally right after the time you ovulate. It isn’t well-understood why some women have more severe PMS symptoms than others, although changes in your hormone levels and inherited body chemistry traits that surface during certain points of your cycle can certainly play a role. Plus, the symptoms you experience with PMS can worsen or even improve the older you get. Whether you have an occasional issue associated with PMS, or if it’s starting to take control of you on a monthly basis, you have options for relief at Nurturing You Women's Health & Wellness. Is treatment available for PMS? If your PMS symptoms are worsening due to hormonal fluctuations, especially as you approach perimenopause or menopause, Dr. Harris may recommend bioidentical hormone replacement therapy (BHRT). No matter how minor or severe your PMS symptoms may be, rest assured, you have several options for treatment at Nurturing You Women's Health & Wellness. Before PMS symptoms begin next, start treatment at Nurturing You Women's Health & Wellness. Book your evaluation online or over the phone.